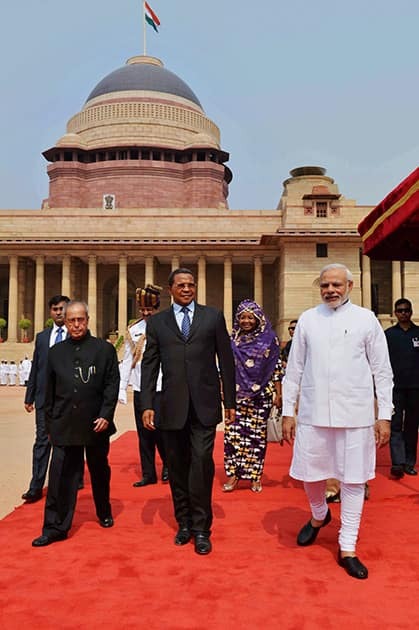 President Pranab Mukherjee and PM Narendra Modi with Jakaya Kikwete, President of the United Republic of Tanzania during his ceremonial reception at Rashtrapati Bhavan. 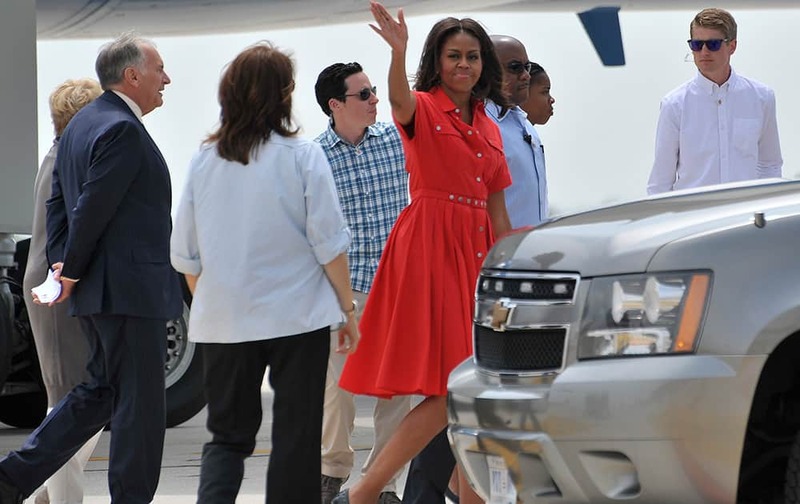 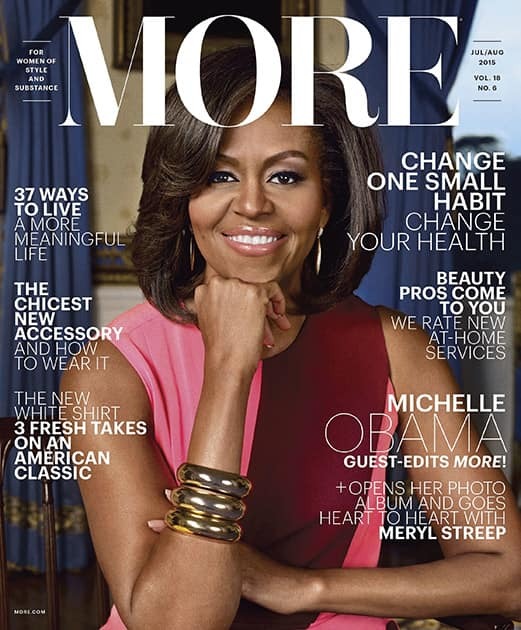 US first lady Michelle Obama waves as she disembarked from a plane as she arrives at Venice's airport. 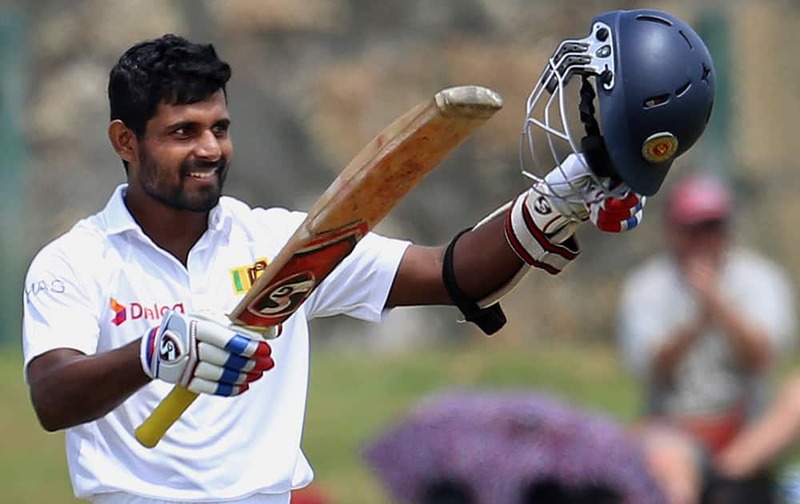 Sri Lanka’s Kaushal Silva raises his bat and helmet after scoring a century during the third day of the first test cricket match against Pakistan at the Galle International Cricket Stadium in Galle, Sri Lanka. 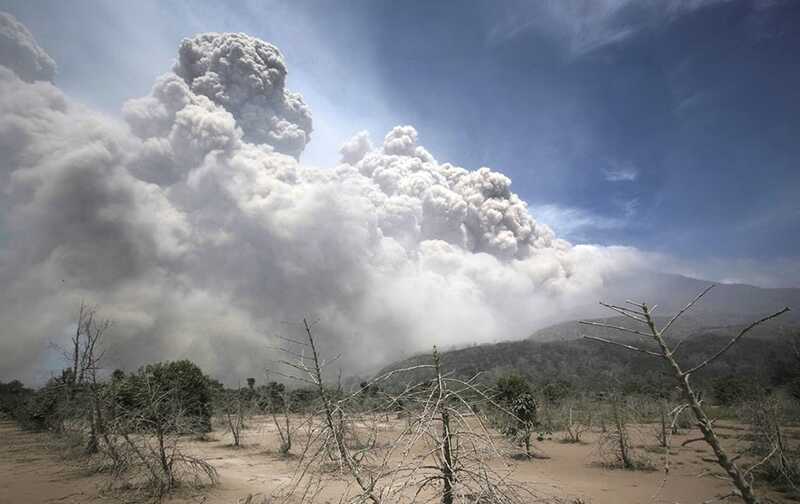 Mount Sinabung releases pyroclastic flows as seen from a coffee plantation affected by the volcano's previous eruption in Sigarang Garang, North Sumatra, Indonesia. 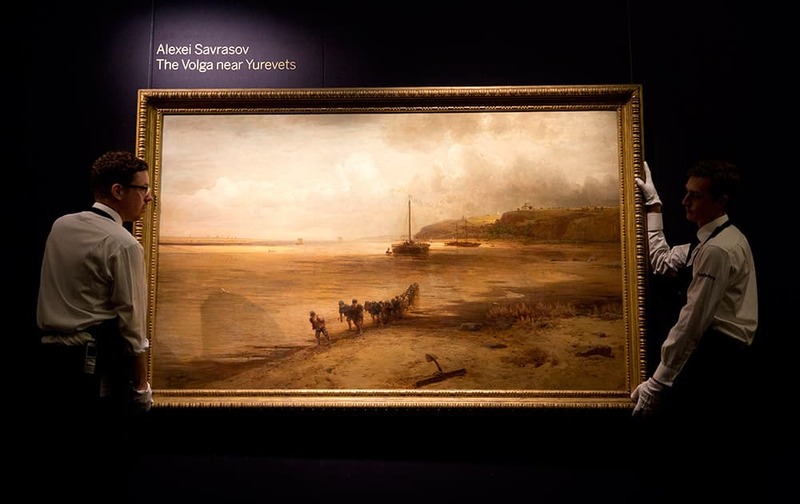 Sotheby's workers pose for photographs with the Alexei Savrasov oil on canvas entitled 'The Volga near Yurevets' at premises of the auction house in London. 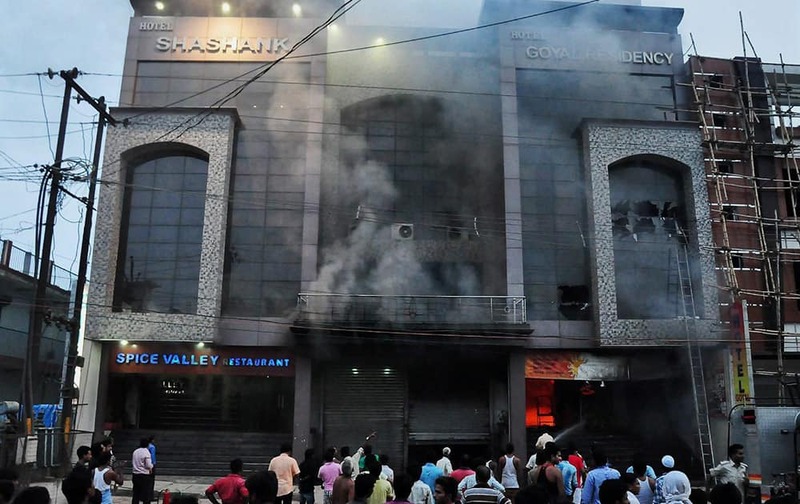 Smoke billows out after a major fire at a hotel in Pratapgarh. 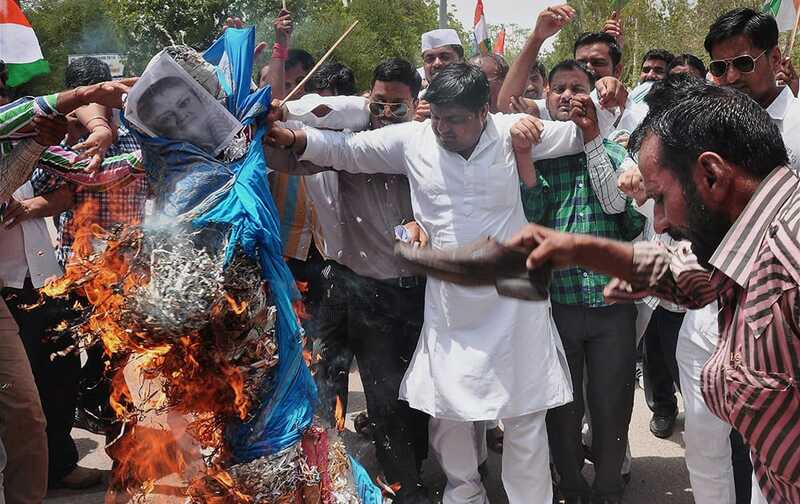 Congress party workers protest against Rajasthan CM Vasundhara Raje over Lalit Modi controversy in Bikaner. 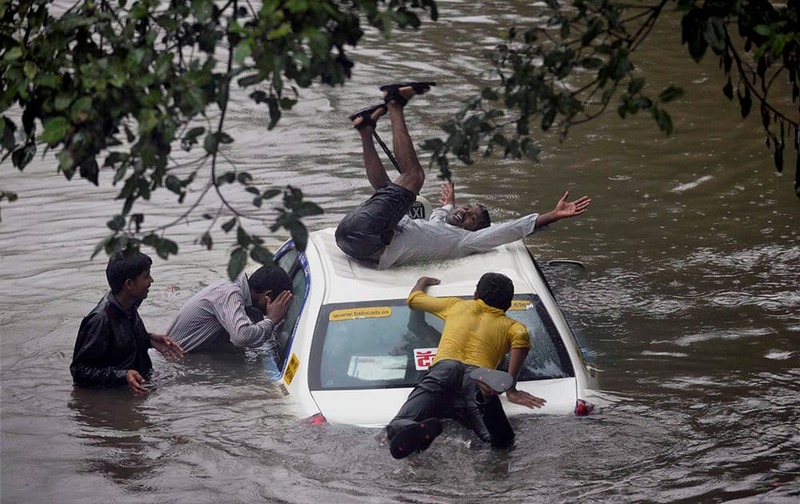 More than 700 students participate in a rehearsal for Yoga Day in Ahmedabad. 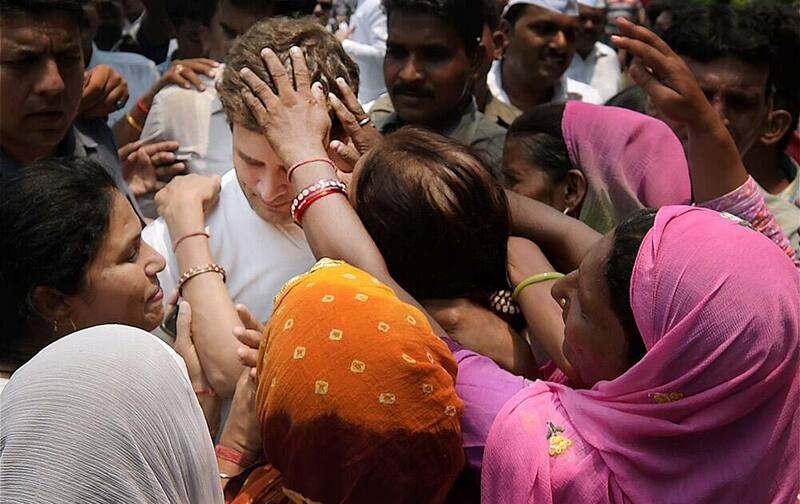 Congress Vice President Rahul Gandhi receiving greetings of party workers and supporters during his 45th birthday celebrations. 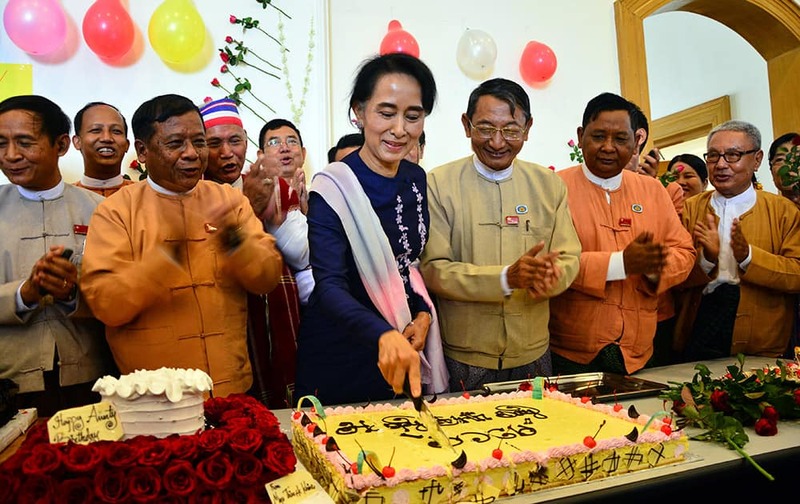 Myanmar's opposition leader Aung San Suu Kyi, cuts her birthday cake as members of her National League for Democracy party sing during a celebration of her 70th birthday at a parliament building, in Naypyitaw, Myanmar. 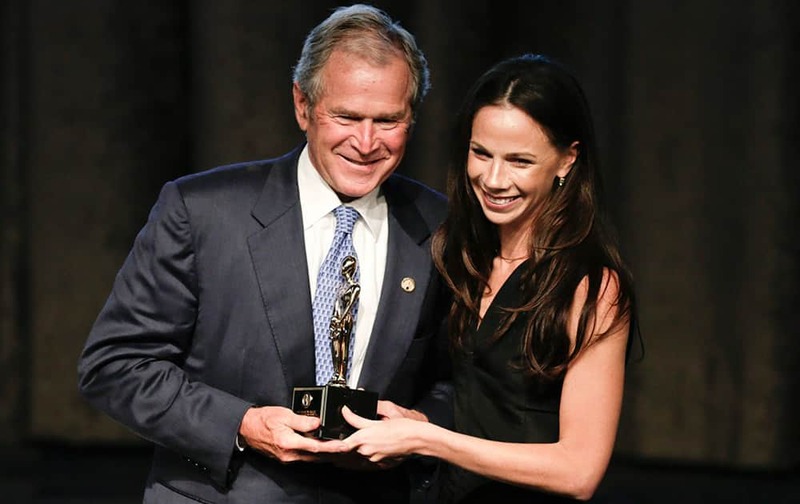 Former President George W. Bush, poses with his daughter, Barbara, after receiving an award at the 74th Annual Father of the Year Awards benefit luncheon. 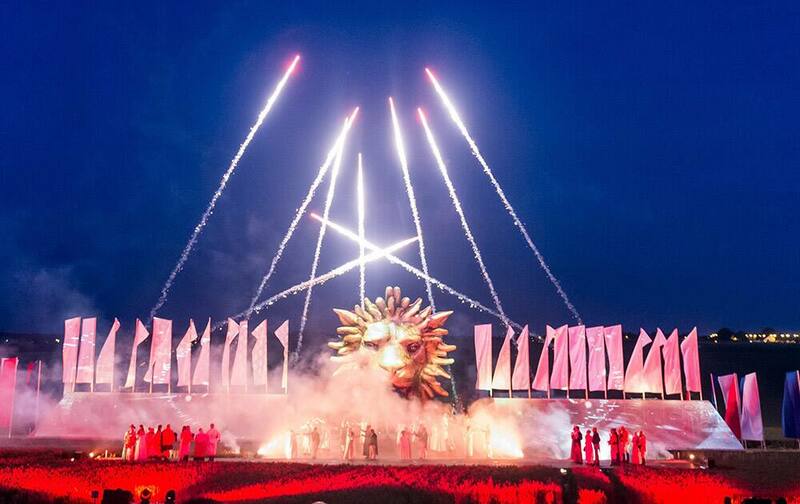 Re-enactors depict scenes during the show Inferno, as part of the commemoration of the bicentenary of the battle of Waterloo in Braine-lAlleud, near Waterloo, Belgium. 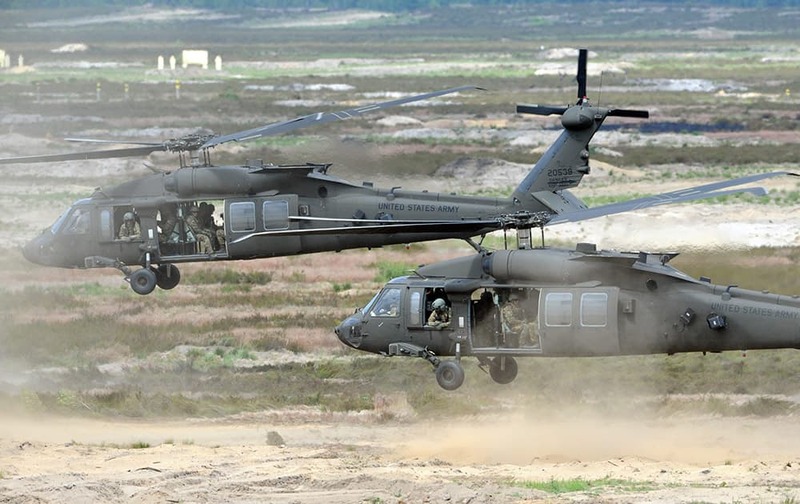 US Army helicopters transport soldiers during the NATO Noble Jump exercise on a training range near Swietoszow Zagan, Poland. 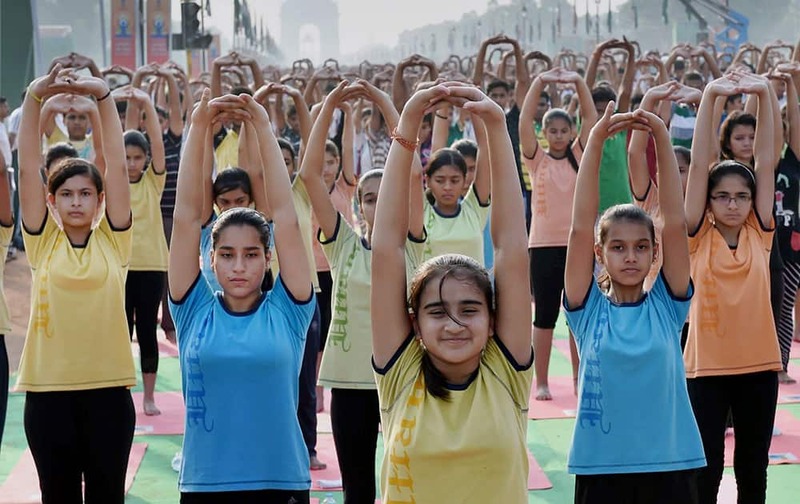 Venezuela's fan cheer for their team prior a Copa America Group A soccer match against Peru at the Elias Figueroa stadium in Valparaiso, Chile. 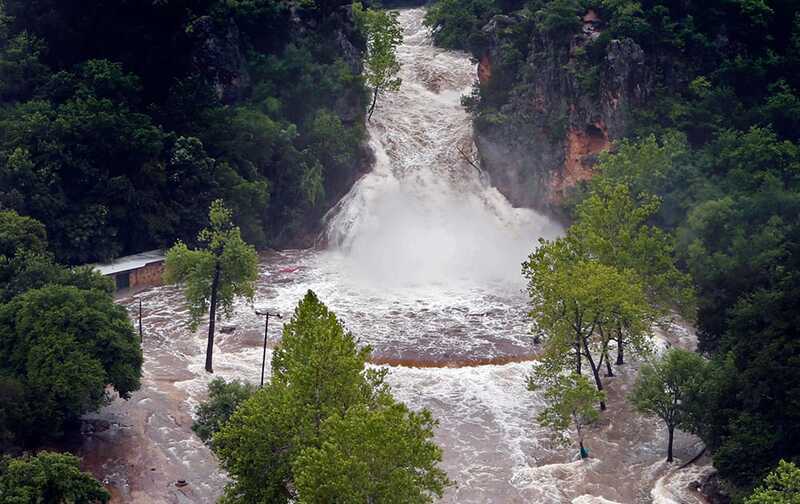 Water pours over Turner Falls and floods the park below, in Davis, Okla.